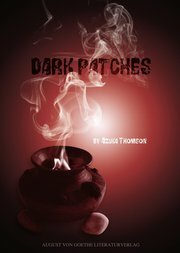 Dark Patches is a riveting tale of raw human emotion. Author Azuka Thomson successfully brings out the base character of the individuals involved, sharing with the reader the underlying nature of the human psyche when pitted against uncontrollable chaos. Ndidi and Grant have the perfect life. Their love was instant and marriage was inevitable. Deciding upon spacing their children apart, they are blessed with a daughter first, however, after 7 years goes by, Grant's mother decides its time for more grandchildren and introduces a proposal that will change all of their lives forever. Omorose is the matriarch of Grant's family and it is her involvement in her son's marriage that begins the catalyst that the story centers around. Grant is a Bini and in their culture men are allowed more than one wife. Although Grant has never harboured the thought of a second wife, his mother and elders have other ideas. After convincing both Ndidi and Grant that this is the best course of action, the second marriage to Josephine is introduced. Believing that Grant can keep each of his wives separate, he begins to travel between the two women, however, Josephine isn't the sharing kind and works with Omorose to bring an end to his first marriage. Both women visit a local shaman and ask for his magics to help them bring Josephine in a better light in Grant's eyes. Between the two of them and their machinations, Grant and Ndidi finally separate. However, the consequences are high and all their lives are about to changed irreversibly and not all for the betterment of those involved. I was appalled that Ndidi would even agree to such a set-up, I believe in monogamy and to see her life ripped apart because of her love for her husband, infuriated me, I just wanted to her to leave the situation and when she finally makes that decision, you just know it has come too late to stop the avalanche that is about to occur. I felt sympathy for Ndidi in the beginning but after she kept being treated like a dog and not standing up for herself or her child, I quickly came to the conclusion that she deserved whatever she got. I loathed Josephine from the very moment she entered the story, I found her to be lazy, obnoxious and manipulative. Ndidi's mother is a very nice addition to the story, giving wise council and advice and even though Omorose's meddling is the downfall of all, you can't help but feel sorry for her, all she wanted was more grandchildren and not the outcome of the events that did occur. She honestly believed what she had done was the right thing to do and never wished any harm to come to anyone. I found Dark Patches to be an excellent read, filled with all the human emotions that make us real. I laughed, I cried, got angry, hopeful, it was all there and for that alone, its worth a read, bringing all those emotions to the front is not an easy task and I would suggest grabbing a copy today and reading it for yourself. Meet Ndidi, the high school teacher and adoring wife. Blissfully married for seven years, a single question brings her world crashing down. Grant, Ndidi’s loving husband, is his mother’s only child. Unable to stand up to his relatives, he devises a plan to keep his family together. Omorose, Grant’s mother, is determined to leave no stones unturned in her quest for more grandchildren, even if it means spiritual intervention. Josephine is no ordinary second wife. Selfish, manipulative and troublesome, she does not intend to share Grant with Ndidi, so she starts an evil campaign with horrifying consequences. As each of them make sacrifices for the sake of a common goal, ruthless bids for power unleash sinister forces of catastrophic proportions…. Jennifer thank you so much for this wonderful review. Glad it took you on an emotional trip! I enjoyed your review. Thanks for promoting this author on her book tour.